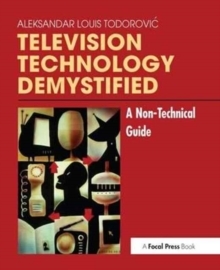 "Television Technology Demystified" is written for non-technical television production professionals. 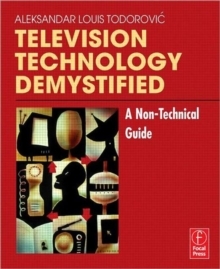 Journalists, program producers, camera persons, editors, and other television professionals need to know how equipment works, which performance levels are achievable, how to evaluate the technical quality of picture and sound, and other aspects of production; this book presents these and other essential concepts in a simple and non-mathematical way. Aleksandar-Louis Todorovic, a highly respected and well-known figure in the broadcasting community, has succeeded in making complex technology understandable.